5. 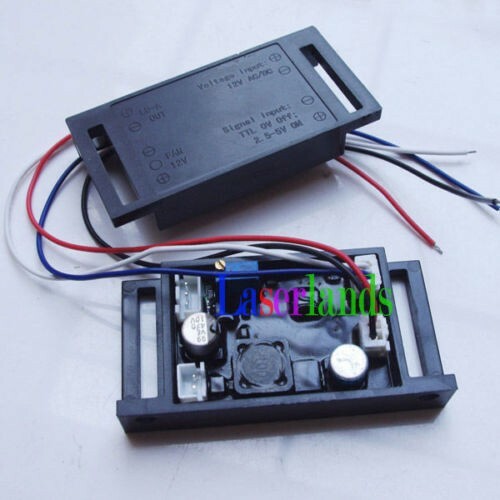 DO NOT connect it directly to laser diode working with 1.8v-1.9v. Please adjust the inplementation in blue color on it and turn down the output voltage before you connect it directly to your diode. and control the input current to fit your diode. 2. TL: it is for frequence, if you do not want to add ttl on your laser, please ignore it. 4. The most important thing is the last one for input voltage. You can also find and + for the input 12vdc voltage. 5. A blue resistor for controlling the input current. Normally, this part depends on your ld. 6. This driver is used for lds less than 2w.